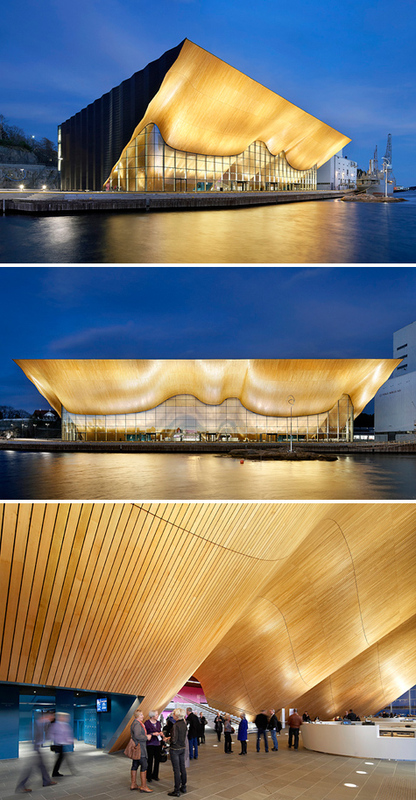 An undulating wall of local oak pierces the glass facade of the Kilden performing arts center in Kristiansand, Norway, designed by ALA. 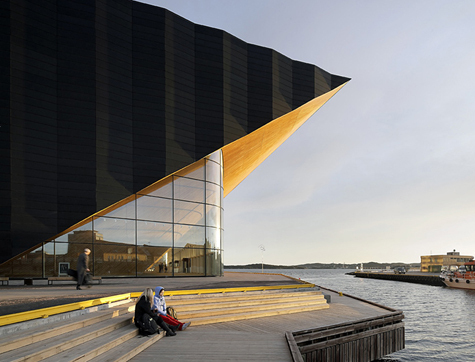 The wall allures the audience and expresses the diversity of artistic performances housed by the building as well as the power induced by their combination. Stunning!